Why the shoulder season is the best time to travel New Zealand. Off Season: This is the time of the year where the least amount of tourists are coming to New Zealand. This is the New Zealand winter (June to August). Shoulder Seasons: Fall (March-May) and Spring (September-November) are considered shoulder seasons in New Zealand. This means that the crowds of tourists are getting smaller but are still higher than in winter. High Season: New Zealand’s high season is Summer (December-February), this is the busiest time in the country with hordes of international tourists and local tourists alike trying to make the most of their holidays. From car and campervan rental rates to Kiwi Experience bus passes to accommodation, prices plummet in the shoulder and off season giving backpackers a chance to make the most of their hard-earned money. Save yourself some precious gold and spend it on what matters: once in a lifetime adventures. With the world-famous lupins (probably the most Instagrammed flower in the world) blossoming, hundreds of other flowers in full bloom, lambs running all around the fields and birds singing their lungs out, spring is the perfect season for a picturesque trip in New Zealand. In fall, New Zealand becomes all the more dramatic, the waterfalls are raging and the skies are braided with intricate cloud formations. The forests are more colourful than ever making you feel like you are truly stepping into Middle-earth turning every single hike into a real adventure. Check out the best places to visit in spring and autumn in 5 Places to Visit in Spring in New Zealand and 5 Places to Visit in the Autumn in New Zealand. The winter season in the Southern Hemisphere is all about New Zealand. 20+ skifields the country attracts all the white powder addicts looking for their fix in August. On top of world class ski and snowboarding, New Zealand also offers some superb winter activities so you are sure to make the most of the impressive Southern Alps. Check out The 24 Ski Fields in New Zealand and Ski Season in New Zealand. One of the main misconceptions is that when travelling in the shoulder and off season in New Zealand you are sure to get bad weather. In fact, New Zealand’s weather and climate is unpredictable and you’ll be treated to torrential rainfall or clear sunny days in summer and winter alike. Even if you do get bad weather, New Zealand has heaps of awesome activities to do under the rain, such as Top 8 Water Sports Activities to do in New Zealand. In the heat of summer some places can get pretty crazy. We are thinking of the likes of Lake Tekapo, Milford Sound or Hot Water Beach to only name a few. New Zealand is a small country and can only comfortably accommodate a few. Treat yourself to a peaceful experience in the country and travel away from the crowds by travelling in the off and shoulder seasons. That feeling of serenity in front of an unreal landscape is like no other. In the same spirit than #5, you’ll get a much better experience backpacking in New Zealand if you are not surrounded by a bunch of kids playing on the beach or fighting over board games in a hostel lounge. Most of the public holidays in New Zealand fall during summer, the high season, so avoid it and travel in peace. In summer, locals tend to take holidays to neighbouring Pacific Islands or to summer hotspots in the country. You’ve got much more chance to meet, spend time, share a meal or a drink, and even stay with locals during the shoulder and off season. Find out how else you can meet locals in New Zealand at 5 Ways to Stay with Locals in New Zealand. This is an essential tip for working holidaymakers: although it is true that there tends to be more jobs advertised in summer, there is also exponentially more applicants for each job, making harder to get a job in summer. 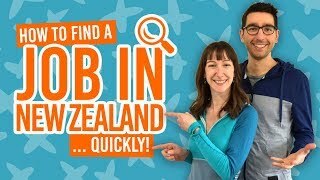 In the ideal scenario you’d get yourself a job in mid-spring, work through summer and travel in the shoulder and off season to make the most of your time in New Zealand. Travelling in the shoulder and off seasons means that you do not have to have everything booked in advance. There are still spaces available almost anywhere in the country. So if you just fell in love with a place or met awesome like-minded travellers, you can go with the flow and change your places. Shoulder and off seasons in New Zealand means that your plans are flexible! So you are travelling with a bunch of friends, crammed into a car, campervan or bus? Well, trust us on this one, you’ll appreciate some cooler climates. For anyone that has camped in the sun in summer, or driven a few hours under the heat in a full car, we salute you. We choose the shoulder season. New Zealand celebrates its winter seasons with a bunch of pretty awesome festivals and there is a lot going on in spring and autumn as well. So if the “lack of major events” was a bother to you, be reassured, you won’t get bored in the shoulder and off season in New Zealand. Don’t believe us? Then just take a look at 5 Winter Festivals in New Zealand and Top New Zealand Events in 2017. By the way, if you are looking to give it back to granny, here is our selection of “fun” gift to bring back home from New Zealand.